Does your city participate in Restaurant Week, known nationally as a week to increase traffic and exposure to local restaurants? If so, you likely have strong opinions about it - whether you’re a diner or you work in the industry. On the surface, what’s not to love? 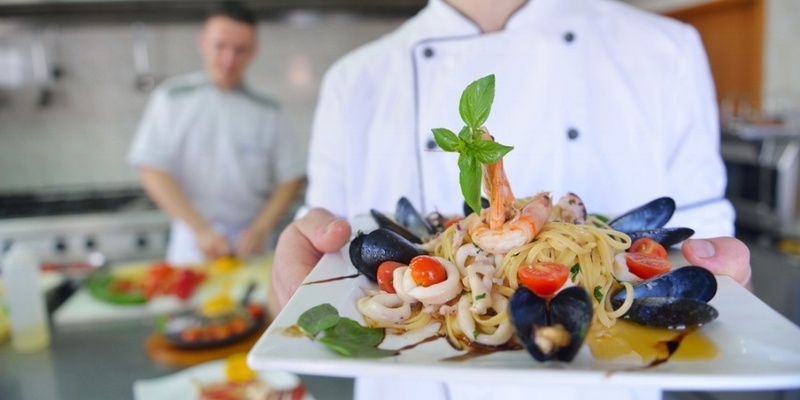 Participating restaurants get valuable exposure and can count on higher-than-average traffic. Diners are treated to special prix fixe menus with the chance to try spots normally beyond their price point. But with the pros inevitably come cons. Participating can become a burden for establishments that feel obligated to do so, and mixing up routines can compromise service. Whether you’re a fan or a hater, it’s worth understanding how to do Restaurant Week right. A local tourist board or the Chamber of Commerce sets a date range for the promotion, recruits restaurants, sets pricing, and advertises to build buzz. Participating restaurants design prix fixe lunch and dinner menus. Diners flock to take advantage of the deals. In many locales, the promotion extends well beyond a week - sometimes even an entire month. Many cities also hold Restaurant Week two or three times a year. Boston, for example, hosts two two-week long events in March and August. Like cronuts, rainbow bagels, and many-a-food trend, Restaurant Week was born in New York City. The brainchild of Tim Zagat (of guidebook fame) and restaurateur Joe Baum, the first Restaurant Week took place during the 1992 Democratic Convention. Zagat and Baum designed the promotion to drum up positive PR while hoards of journalists were in town. The concept was a hit, and now - 25 years later - hundreds of cities across the country and the world hold their own version. First and foremost, Restaurant Week is effective at getting people to dine out. Guests know how much they can expect to spend - even at higher-end spots - so Restaurant Week is often cited as a good rationale to try new spots. “I love it because it encourages guests to try restaurants outside their normal choices,” says one Boston restaurant owner. As an added bonus, Restaurant Week is often timed to coincide with seasonal lulls in traffic, so participating can help close the gap during periods that are normally slow. Exposure is another big benefit. Hosting organizations often put considerable time and resources towards advertising. That equals valuable visibility, especially for newer spots looking to build name recognition. “It’s marketing and anything helps,” sums up one cafe owner in Michigan. Even though it’s undeniable Restaurant Week can be great for business, that doesn’t mean it’s frustration-free. Between temporary menu changes, heavy volume, and high guest expectations, there are ample opportunities for service to go awry. Remember all those new guests headed out to take advantage of Restaurant Week? When they create a bottleneck at your host stand, nobody wins. Long lines miff regulars and your first time visitors alike. Towing the line between profitability and showcasing what your restaurant does best is also a tricky balancing act. Hosting organizations standardize menu prices with both low and high-end establishments in mind. But there’s no getting around that the one-size-fits all price point is great for guests but tough for businesses. Get too ambitious with your menu and profit margins will shrivel. Cut too many corners and risk guests feeling skimped. Regardless of where they’re headed, diners want to believe they’re scoring a deal. Is Restaurant Week Worth It? “It seems like a lot of effort and that it wouldn’t generate enough revenue,” said one restauranter we surveyed. Perhaps it is. Not participating is certainly the easier route, but restaurateurs who assume this stance will miss out on the long-term benefits to be gained. In fact, 80% of diners who try a restaurant during restaurant week are likely to return. Certainly, you could also check your POS sales reports to see how your sales increase or decrease during restaurant week. While I'm not a restaurant owner, I'm definitely a member of Team Restaurant Week...so long as you're doing it right. A couple strategically chosen upsell options can boost your Restaurant Week check averages and delight diners. Design a wine or beer pairing for each course of the prix fixe menu and let guests opt in. Or add in a luxurious addition to the prix fixe that costs a bit extra. Many guests will spring for the extras and be excited to do so. If Restaurant Week requires you to design new menu items, spin the inconvenience into a professional development opportunity by letting trusted BOH staff drive the effort. Many will appreciate the chance to deviate from the regular menu and flex their creativity. Avoid the common pitfall of putting out a lackluster Restaurant Week menu just to check the box on participating. Rather use the opportunity to dazzle those newcomers and capture their attention with attractive loyalty and rewards programs. As we’ve mentioned, Restaurant Week draws lots of guests who’ve never dined with you before. Send them home with a memories of a great meal and you might just earn your place as their new go-to. Need to get ready for restaurant week? Download the guide below for free restaurant marketing tips!